This is what I am doing right now, working on a sewing project. 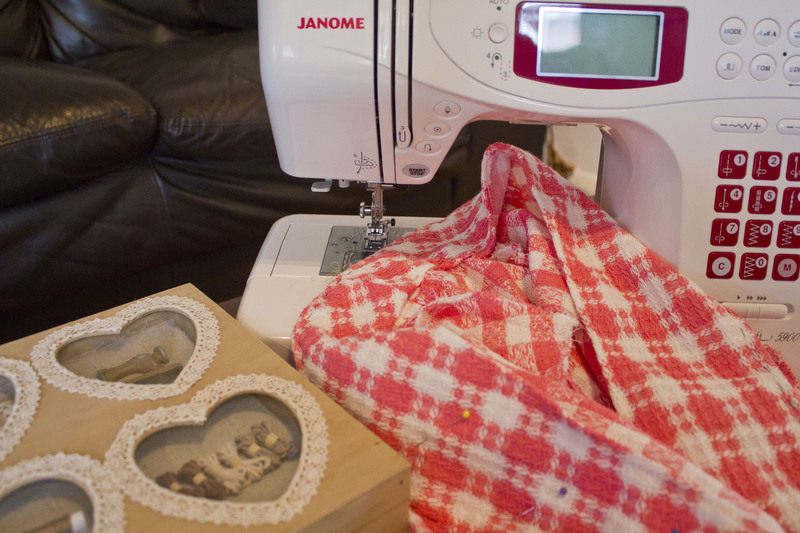 Sewing is one of those things that I do to cheer myself up and get the creative juices flowing. However, I’m not a great one for finishing things. The project that I am currently working on, and shown in this picture, I started around this time last year. I give up a bit too easily when things confuse me. I have also given up on a 2 dresses and a pair of trousers in the past year. I think what I need to learn is to actually finish something before moving onto the next thing. So watch this space! Hopefully this particular project will be finished soon and I can showcase it on here!